“Personally, I prefer to look on the positive side of life these days. Not just Murder He Wrote all the time, and who-got-who with a bullet, a knife, an extension cord, or what else I don’t know. Me, I’m far more interested in the nice people now, the quiet ones, the normals, the ones who you’d say—they lead their regular lives, abide by the law, don’t mistake themselves for the good lord when they get up in the morning, just nice tidy lives. That chauffeur is Brenner, or Herr Simon, a former police officer now assigned to be the personal driver of a two-year-old little girl whose wealthy and high-profile parents need to make sure she’s safe from being kidnapped. It seems a lowly task, except that right off, Brenner admits that his most interesting converations in life so far have been with Helena, the babbling child, and he’s paid well for what he finds comforting and solid work. His biggest challenge appears to be how to sneak Helena a chocolate bar without her parents finding out. But, it’s this very chocolate bar that gets him in trouble, because in purchasing it, he lowers his guard, just the once, and she is taken. For those who enjoy detective novels, this is no procedural. Much of the actual work of solving the crime is left out in favor of developing the plot: mainly, what is going on with Helena’s parents, an abortion doctor and a mega-developer, that may be related to her disappearance. Brenner’s musings on both of their occupations gets far more time than chasing down forensic evidence, which keeps this from feeling like so many popular crime novels that appear to be repeats of CSI episodes, where the story is lost in the jargon. My only minor qualm about the story was the curious introduction of one character, a police officer named Peinhaupt. He’s all set up to be a prime character, and drawn with incredible detail. I was surprised to see that his character sort of vanishes in the action of the mystery, only to reappear later in a minor scene. While this is part of a series of books about Brenner, the seventh in fact, it is the first Brenner novel to appear in English. I’m curious if Peinhaupt might have had a role in earlier Brenner novels that might explain his appearance here, or if he may be in line for a series of his own. Special thanks to the German Book Office for the Review Copy. 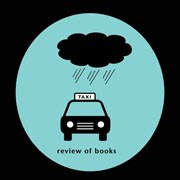 Additionally, Haas is the author of another spectacular novel translated into English, The Weather Fifteen Years Ago, reviewed here: http://www.theblacksheepdances.com/2010/08/weather-fifteen-years-ago-wolf-haas.html. 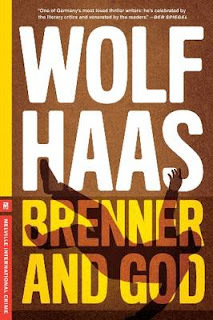 It's not a detective novel, but until the other Brenner novels are translated, enjoy!